Does anyone else feel like children are playing with certain toys at a younger age and growing out of them younger than we did? I can remember playing with dolls until I was well into my pre-teen years. 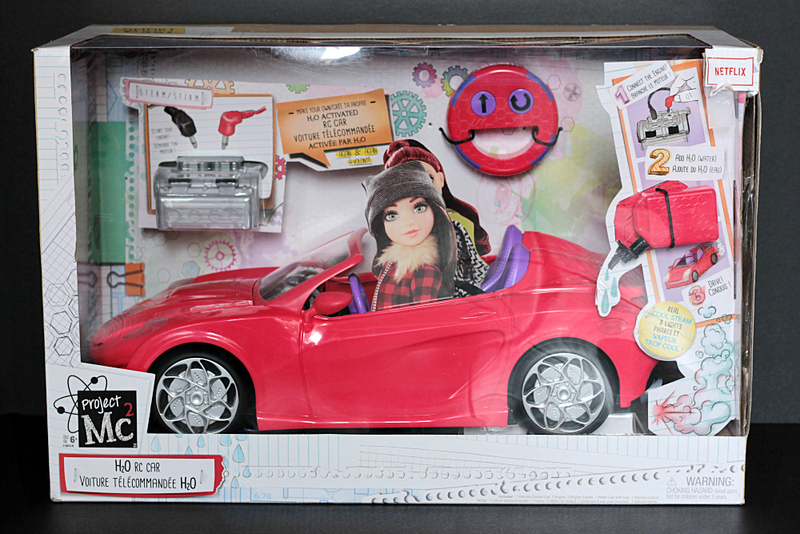 Well, these Project Mc² – Smart Is The New Cool! dolls are totally different from your average doll! 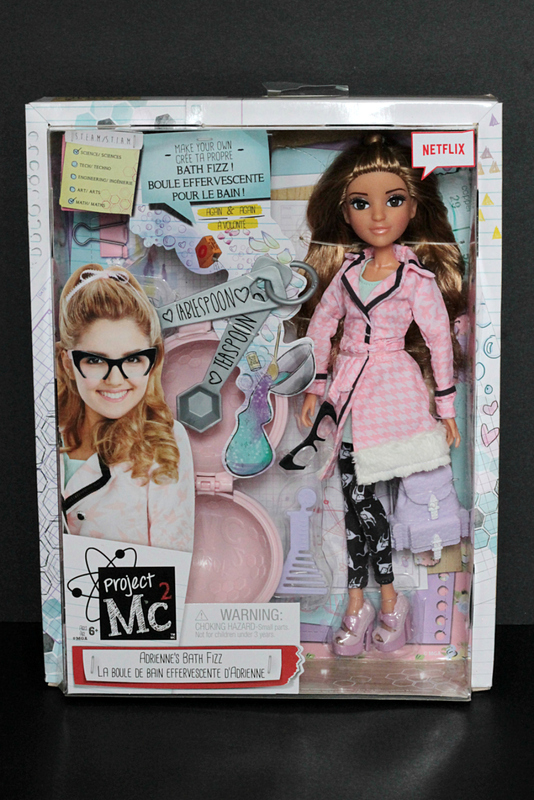 Project Mc² – experiment with doll sets are based on the NETFLIX original series. This is a series my daughter Hailee loves. She is really looking forward to season 3 which she is just diving into. Project Mc² follows a team of super-smart and seriously cool girls who use their love of science and their spy skills as they go on missions for secret organization, NOV8 (innovate). If you have a young daughter I can tell you they will love the show! Project Mc² empowers girls to explore S.T.E.A.M. 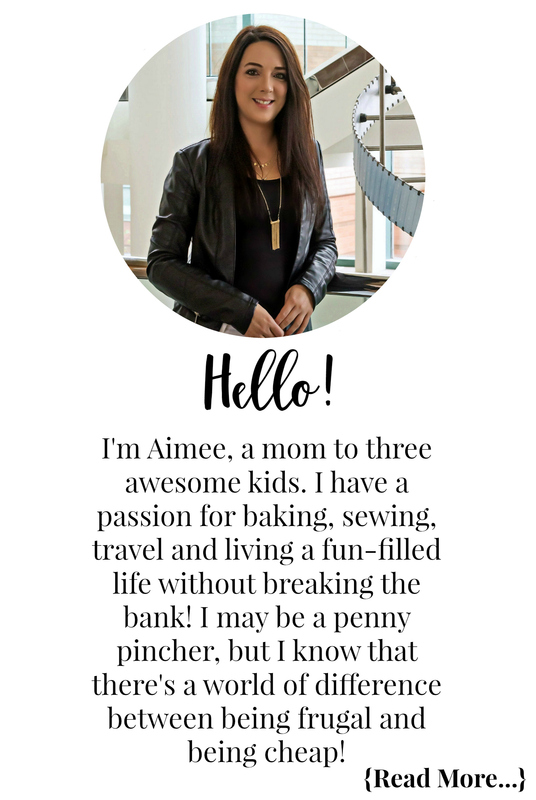 related themes in a way that’s relatable and engaging to them through fun experiment sets and fashionable real girl-inspired dolls. 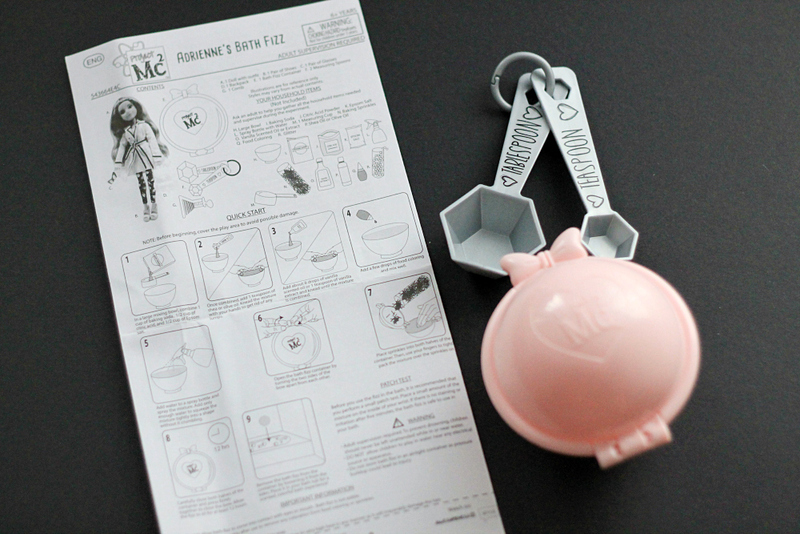 I have to say this Project Mc² H₂O RC Car is pretty rad and my girls would agree. You add water to the tank to activate and run the car. The headlights turn on and cool steam comes out of the tailpipes. The hood and fuel tank covers open and the side mirrors swivel. It includes a fuel can for water and fits two Project Mc² dolls (sold separately). 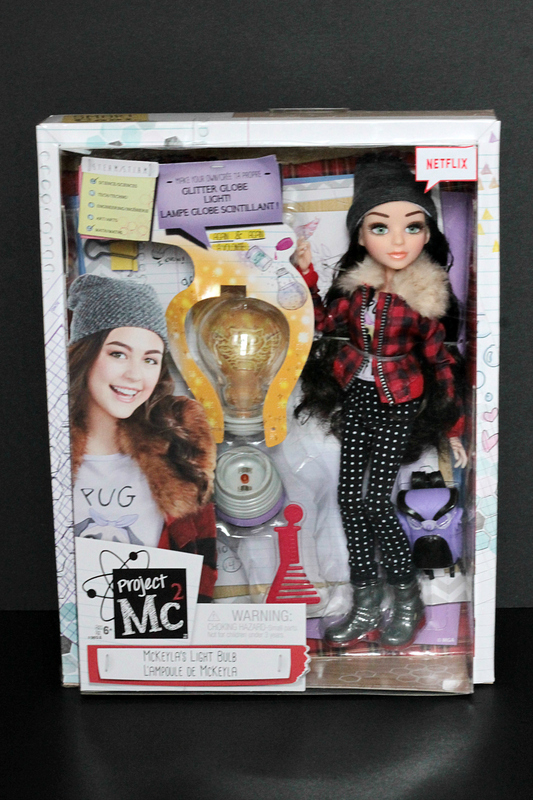 The first of the two dolls we received is McKeyla’s Light Bulb. This doll comes with a really cool experiment! You can make your own glitter globe light over and over again using safe household ingredients like water, glitter, and glycerine. She comes with a personalized backpack, beaker-shaped comb, and a glitter globe light. I think out of the two dolls Adrienne’s Bath Fizz is my fave. Hailee is super excited to try our hand at making some bath bombs! Adrienne is Project Mc²’s resident culinary chemist. She comes with all the tools you need to make your own bath fizz using safe household ingredients like baking soda, citric acid and vanilla. I’ve been pretty under the weather the past few weeks with Shingles so I still need to pick up some citric acid before we can do this experiment. Bella is really into dolls. 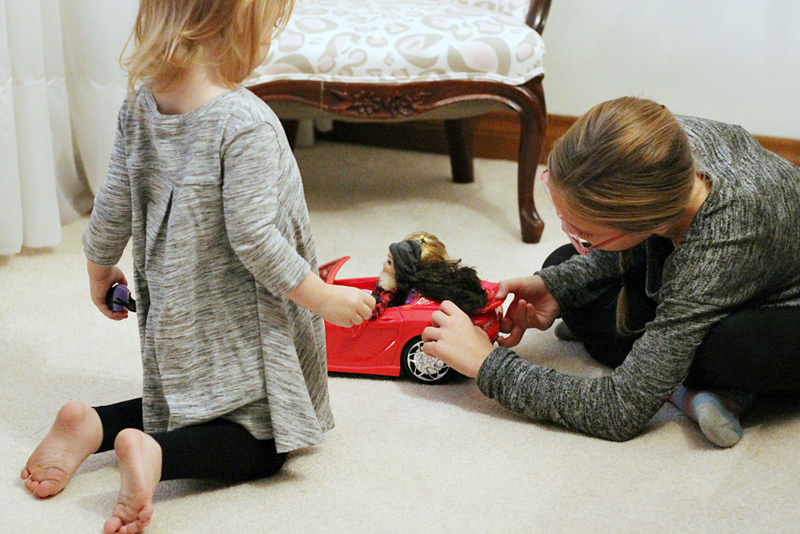 Although she is only almost 3 years old, she can’t get enough of playing dolls with Hailee. Of course these dolls are recommended for children 6+ but we supervise her when she is playing with anything that has small parts. She doesn’t have a zest for sticking things other than food in her mouth either. 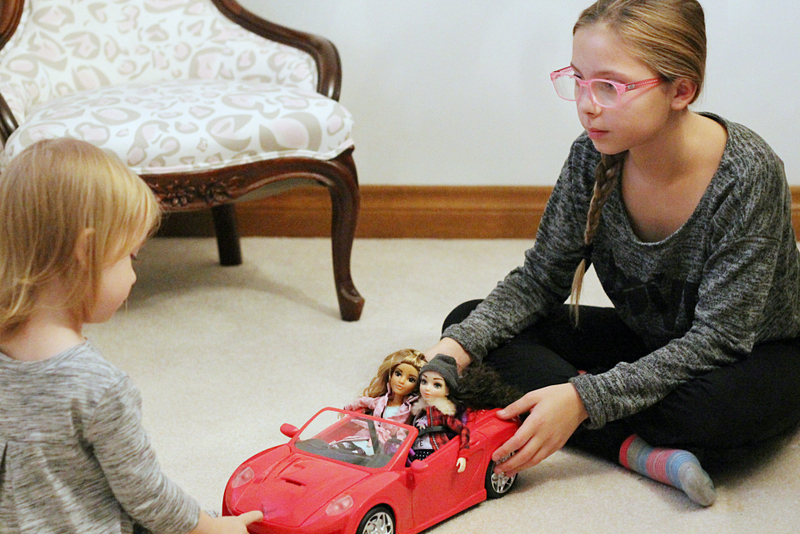 I love how these dolls allow Bella and Hailee to play together with something they both enjoy. 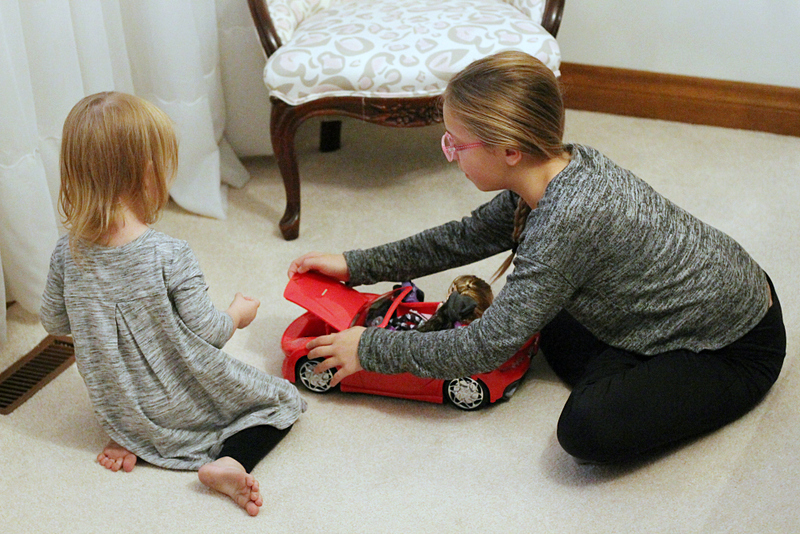 Hailee is able to teach Bella how the toys work. Here she is showing her how to open the gas tank cover. A little under the hood inspection! 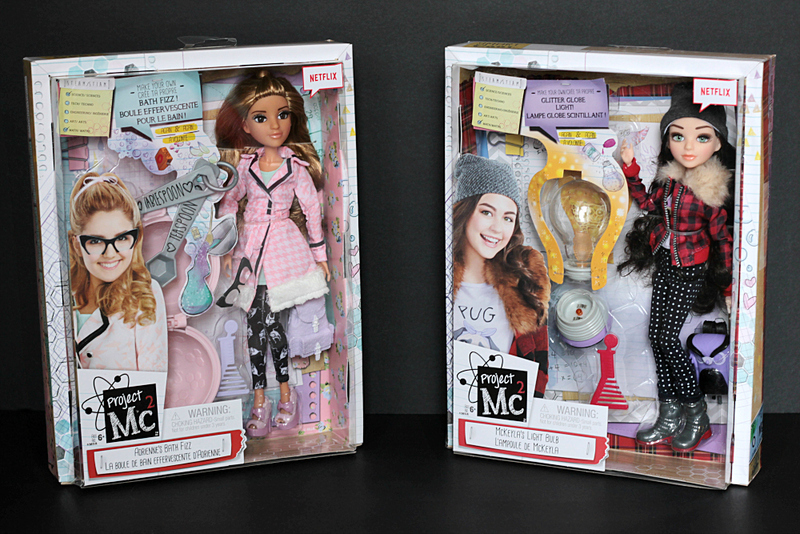 You can find Project Mc² – experiment with doll sets and accessories online at Hudson’s Bay, Amazon, and Walmart. My daughter LOVES this show and watches it on Netflix! I don’t think she has seen these dolls yet otherwise she’d flip! I’ll be checking them out. OMG I had no idea that they had science included as part of the package. I love that. I still recall breaking up with my Barbies at like 10 or 11 because I was feeling way too old to be doing that BUT it was hard. I spent so much time playing with them prior to that. I think they helped me process a lot as a kid. Anyways, these look so fun! Haven’t seen this show with my girls, but will have to check it out! I love that these dolls champion science, while still being fun to play with! Oh I haven’t seen this show on Netflix, I will have to check it out. I love it when shows highlight girls and science. And it is great to see this line up of dolls so girls can enjoy them off screen as well. I wish there had been more of this and less of “sun tan Barbie’s for our girls growing up. Fabulous that you’re bringing these great examples to parents and kids! Thank you!